Chelsie Aguero, Licensed Massage Therapist since 2012 (MA69149), is legally blind since birth. She has lived in St. Augustine most of her life. 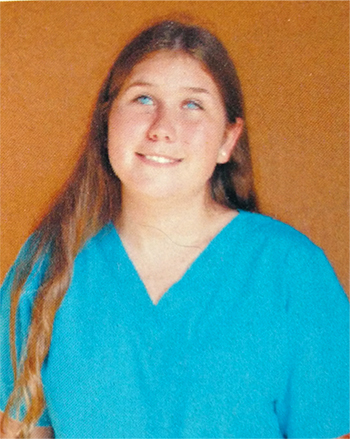 She attended the Florida School for the Deaf and the Blind and First Coast Technical College, completing the massage program. She had the assistance of a reader and a note-taker. Being visually impaired has given Chelsie the gift of sensitive touch and we feel that enhances her skills as a therapist. She enjoys having a positive impact on clients by giving them a healing massage, using Swedish massage, deep tissue massage, and aromatherapy.